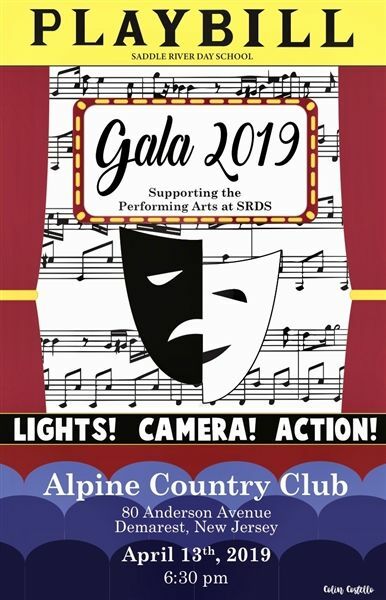 The Saddle River Day School Parents Guild is pleased to announce that this year's gala on Saturday, April 13, 2019 will be raising funds to benefit the Performing Arts program at SRDS. Proceeds from this event will support all Performing Arts including theater, instrumental and vocal music. Participation in the Performing Arts provides opportunities for students to epxress their personal creativity, build self-esteem, foster discipline, and master a variety of skills that can be applied to their lives both on and off the stage in the 21st century. Funds raised will also provide much-needed upgrades to the Performing Arts Center including lighting, electrical, seating, curtains and more. Our children gather in the PAC for Monday meetings, SRDS productions, athletic award and other assemblies, TEDxYouth@SRDS, movie nights and social events for our entire community. The Performing Arts Center is the heart of our school! We look forward to a successful gala as we raise funds to strengthen our thriving Performing Arts programs at SRDS for years to come. Please join us for an amazing evening at the Alpine Country Club to support our children and our school.